With JungleBell you have the option to run a workflow on existing/expiring records that triggered an alert after an email was sent. In this tutorial you will learn how to use JungleBell to trigger workflows. This feature will allow you to send an email with an alert and a the same time execute a a workflow. This feature can be useful to automatically update list items or execute other actions in SharePoint on your schedule. Let's get started! 1. 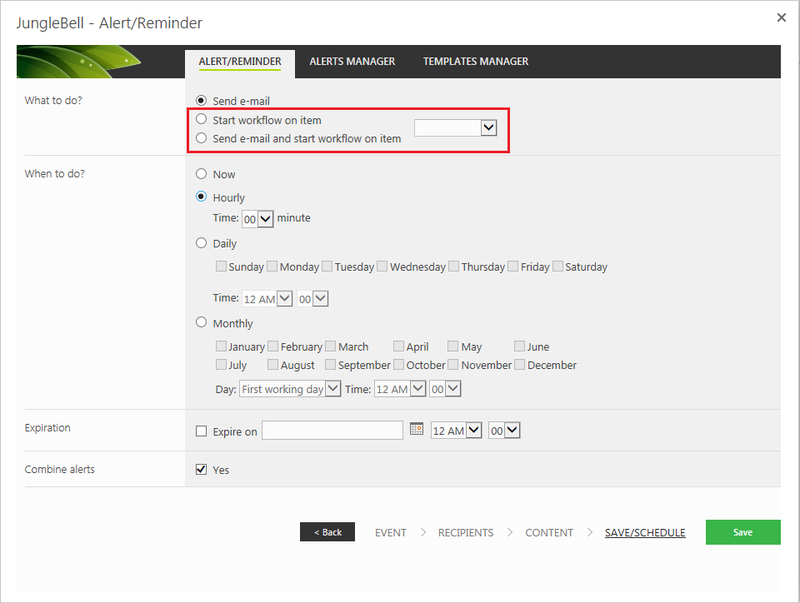 To use this feature, choose the workflow option in the alert scheduling settings. 2. Choose to start a workflow on an item, or to send an email as well as starting a workflow on an item.